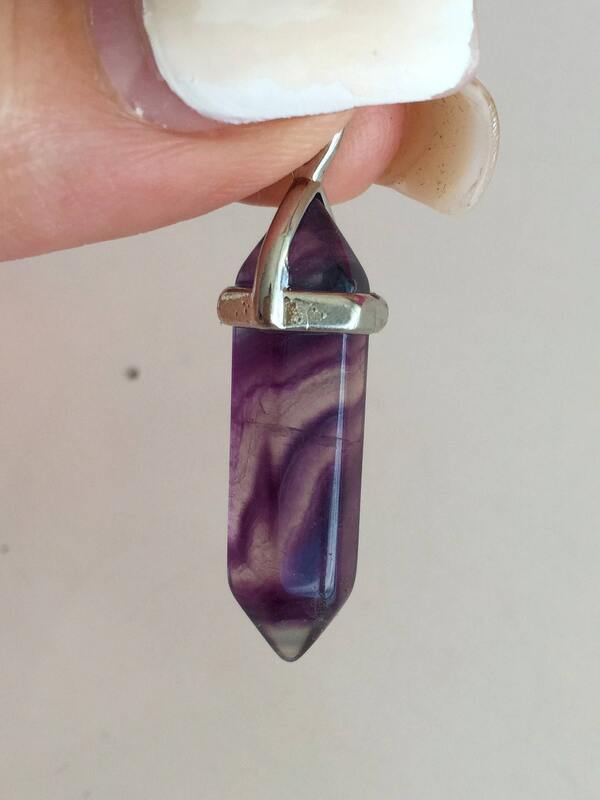 Receive this exact Rainbow Fluorite Pendulum Perfect for any necklace or chain. Rich in a clear shade of purple and green with a streak of blue dividing between these two colors. SIZE- The pendant measures approximately 1 - 1.5 inches in Length. You will receive the same fluorite seen in images. 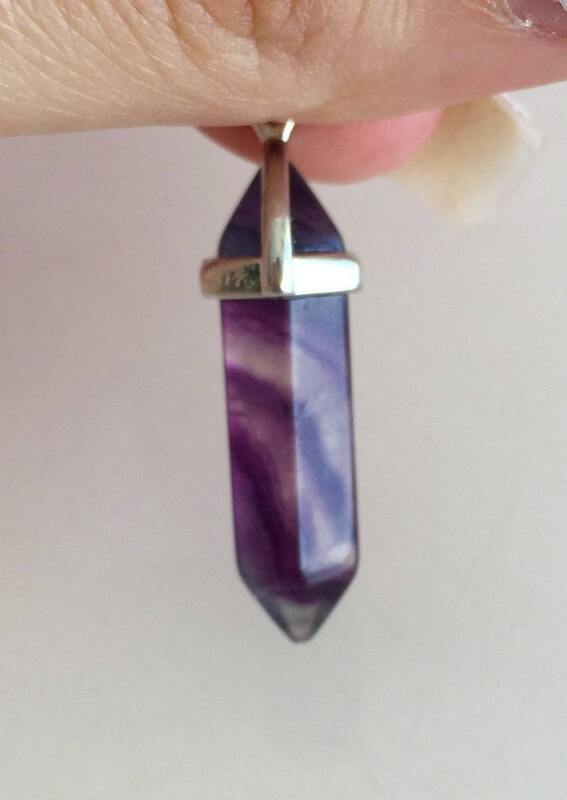 This beautiful healing crystal radiates immense amounts of healing, calming and positive energy. Meditating with fluorite raises energy level while increasing concentration that deepens meditation. It helps experience inner peace and further spiritual growth. Want to see our collection of Pendants?